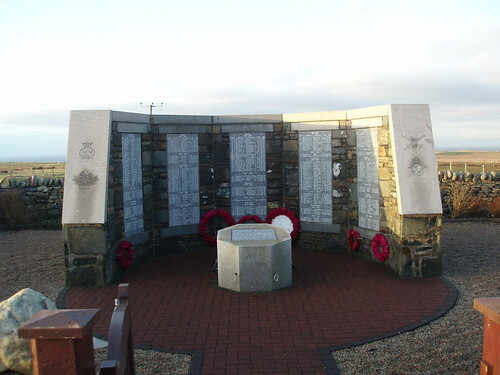 This memorial covers the villages of the district of Ness, which stretches from Eoropie in the north to Dell in the south, and stretches southeast to Skigersta.The memorial stands in a walled enclosure, with a small plinth bearing an explanatory plaque. It is located in the village of Cross along the A857 road from Stornoway to Port Nis, a few hundred yards north of the Cross Inn. Bus W1 from Stornoway to Ness passes by the memorial.